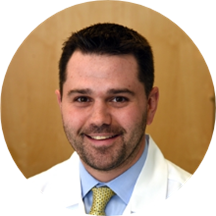 Dr. Bryan Kleinman sees patients at Crystal Run Healthcare. With thorough training including a fellowship in gastroenterology from Einstein Medical Center, Dr. Kleinman proudly looks after the Monroe and Newburgh, NY communities. He earned his medical degree from the New York Institute of Technology, New York College of Osteopathic Medicine and further completed a residency in internal medicine at Ohio State University Wexner Medical Center. Dr. Kleinman is certified in gastroenterology by the American Board of Internal Medicine. He chose gastroenterology as it has a mix of acute and chronic illnesses, as well as procedures. He wants to help patients with chronic diseases so that he can have an impact on their lives. Dr. Kleinman encourages open communication with his patients which allows him to guide them through their treatment as an active participant in their wellbeing. He strives for the highest quality, integrating medical expertise with state of the art technology. Outside of medicine, he enjoys playing golf, rooting for Michigan football, attending Mets games, and trying new restaurants. He also enjoys spending time with his wife, Arielle, their dog, Milo, and his entire family. Very pleasant, reasonable doctor. Didn’t push to recommend extraordinary and unnecessary procedures. Good listener. Doctor Kleinman takes his time to make sure his patients are comfortable and answers all questions. Highly recommended to anyone looking for a gastro doctor. Answers and explain the procedure. Dr. Kleinman has an excellent bedside manner, was very patient, & gave me the full opportunity to ask whatever questions I had. I would highly recommend him. Dr. Kleinman was professional and explained the test results.